The ESV Archaeology Study Bible roots the biblical text in its historical and cultural context, offering readers a framework for better understanding the people, places, and events recorded in Scripture. With this knowledge, Christians will be better equipped to read, study, understand, and apply the Bible in their daily lives. 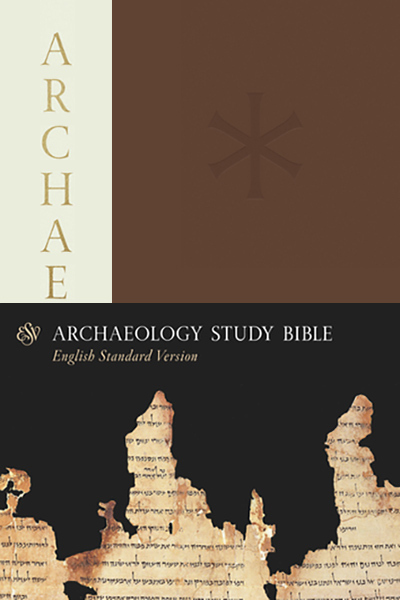 With editorial oversight from Dr. John Currid (PhD, University of Chicago) and Dr. David Chapman (PhD, University of Cambridge), as well as contributions from a team of field-trained archaeologists, the ESV Archaeology Study Bible assembles a range of modern scholarship—pairing the biblical text with over 2,000 study notes, 400 full-color photographs, 200 maps and diagrams, 200 sidebars, 15 articles, and 4 timelines. These features bring life to the ancient texts, helping readers situate them in their historical context while recognizing the truth that the eternal God became flesh entered human history at a specific time and in a specific place.